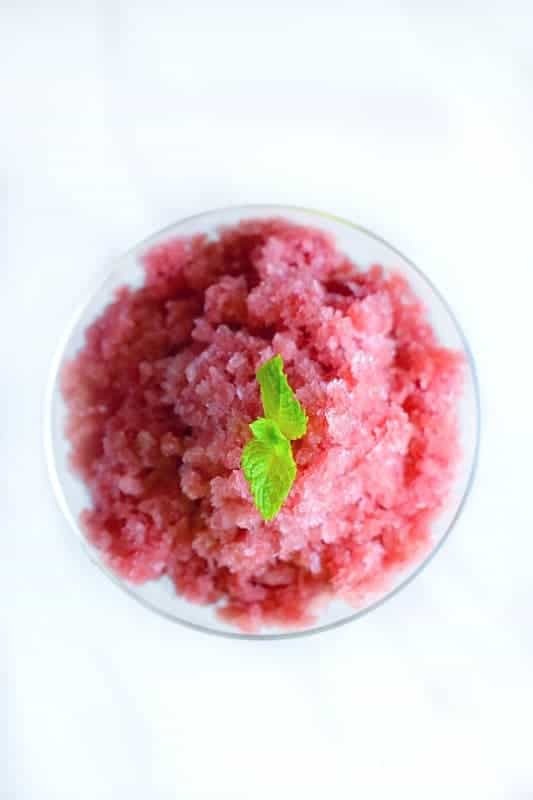 Easy Watermelon Ginger Beer Granita: a quick dessert recipe that absolutely delicious, light and filled with refreshing watermelon-ginger flavor. 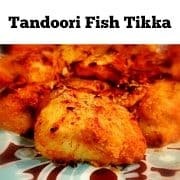 It can be made in advance and kept in the freezer for upto 10-15 days in an air-tight container. Okay, Everyone, ‘Father’s Day’ is just around the corner (June 18, 2017) and I’m so ready with this Watermelon Ginger Beer Granita. I dedicate today’s post to all the wonderful Dads or ‘Super-Man’ as many of us know them as – We Love You Dad !!! I’m ‘Daddy’s Girl’ and I say it very proudly as my dad has always me the freedom and believed in me + my dreams. He’s always there guiding, encouraging, helping everyone in our family – friends. Even strangers who ask for help and at the same time always there for his family too. From my childhood, I always wanted to be like my dad and I do see that smile time to time when he sees me thinking or doing things like him. And, also my Dad is my BIGGEST Culinary Critic!!! He tells it on my face whether it’s good or bad …. he’s traveled all over the world, tasted the finest food/drinks, so when he says it’s ‘good’ – nothing makes me happier. So every Father’s Day, I try to create a recipe around his likes and he loves his drinks and is very serious about them. 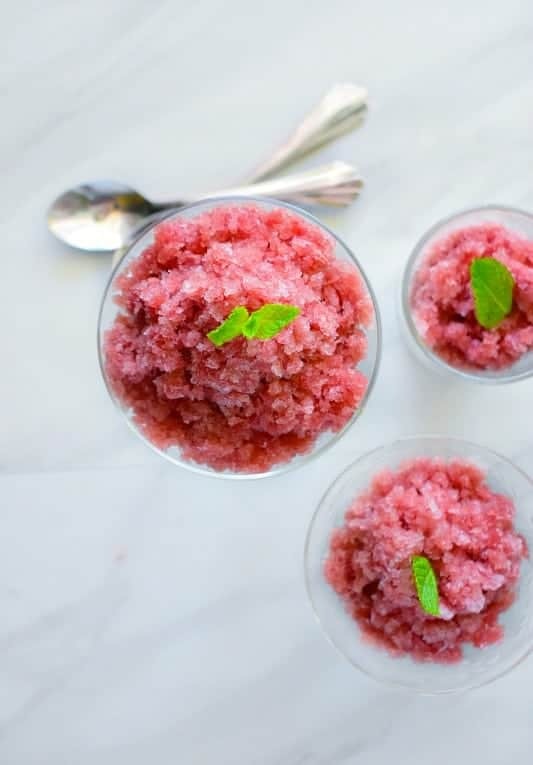 Hence, I’m combining two of his favorite things (out of many) and creating this Watermelon Ginger Beer Granita. 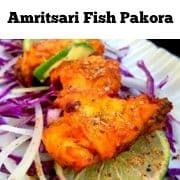 Which has that added zing to it from the ginger beer and it tastes awesome with spicy food. Have you ever tried making ‘Granita’ at home? It’s an Italian recipe and very similar to ‘shaved ice’ (barf ka gola) that we get in India or sorbet if you’ve tried that before. Granita’s are usually coarser or have a more crystalize texture because they are scrapped using a fork every now and then to attain that perfectly separated crystal form. 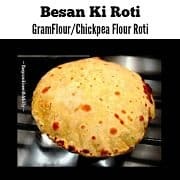 It’s really really easy to make and a lot of fun too !! 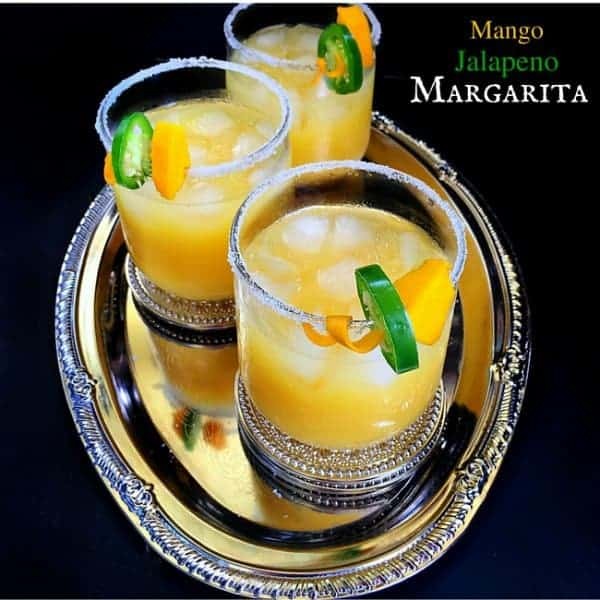 “ALWAYS add the drink after the juice is made especially if it’s a beer as you don’t want to dissolve all those carbonated bubbles while making the juice. 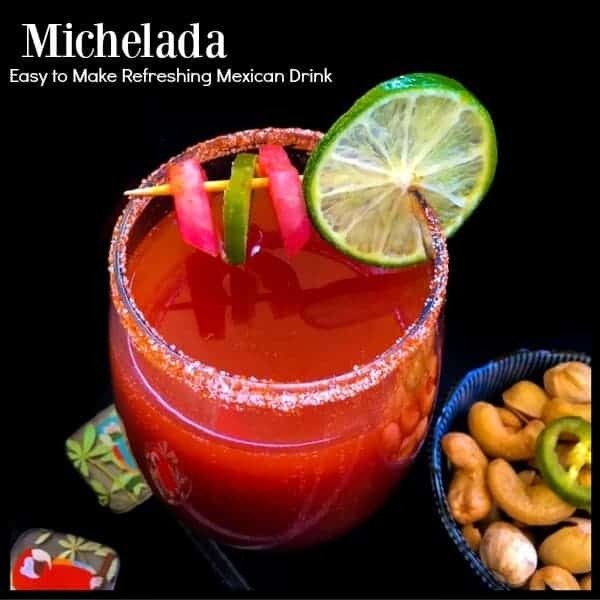 For a refreshing taste with a zing, you want to add the beer just before you freeze the granita”. That’s it, there is no other special thing needed, all you do is juice, mix and then scrape the ice from time to time till it resembles crystals. 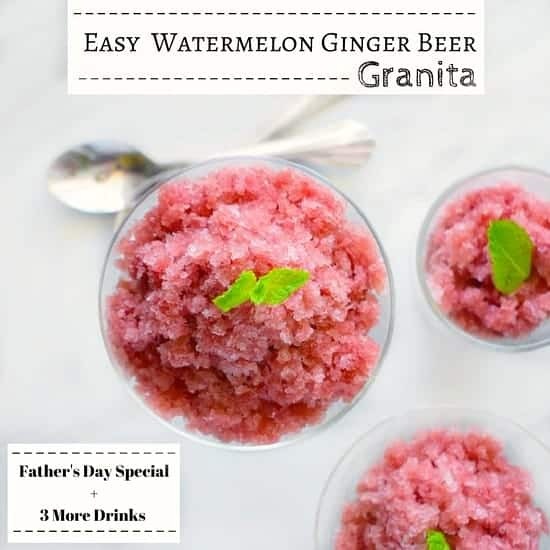 Give this Watermelon Ginger Beer Granita a try on this Father’s Day or just about any other day or night. Place watermelon, lemon juice, sweetener in a mixer and pulse to form a smooth juice like consistency. Transfer to a large freezer safe bowl/box and add ginger beer. Stir everything together and keep in freezer for an hour. Scrape the top and corners nicely using fork and put it back in freezer for an hour. Remove from freezer and no scrape the entire bowl using a fork (making sure you break all chunky crystals). Scrape and mix everything and place it back in freezer for 3 hours till its properly crystalize. 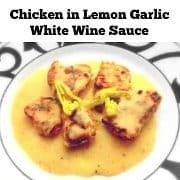 When ready to serve, remove from freezer and transfer to 4-5 glasses or bowl. Add a fresh mint leave on top and serve immediately. 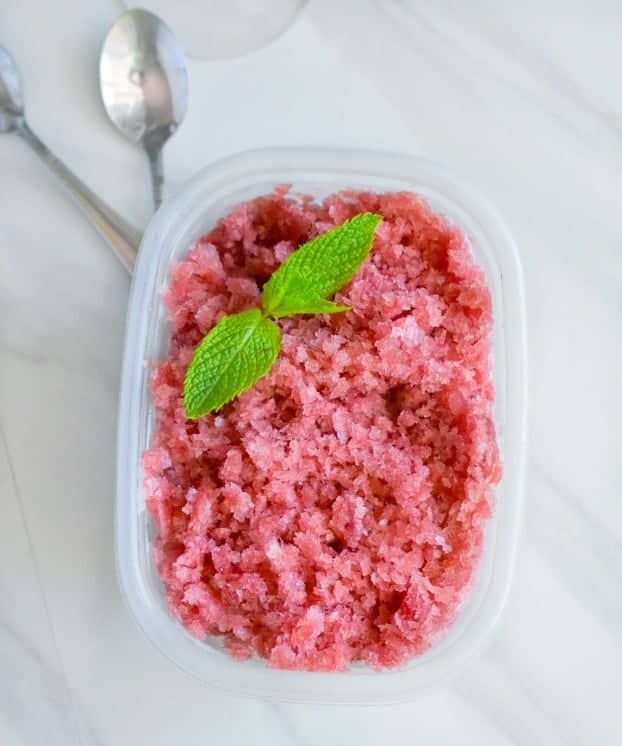 22 Replies to "Easy Watermelon Ginger Beer Granita (4 Ingredients)"
My husband and I were just talking about granitas today! I’ve never thought to use ginger beer in one, but that is just brilliant! 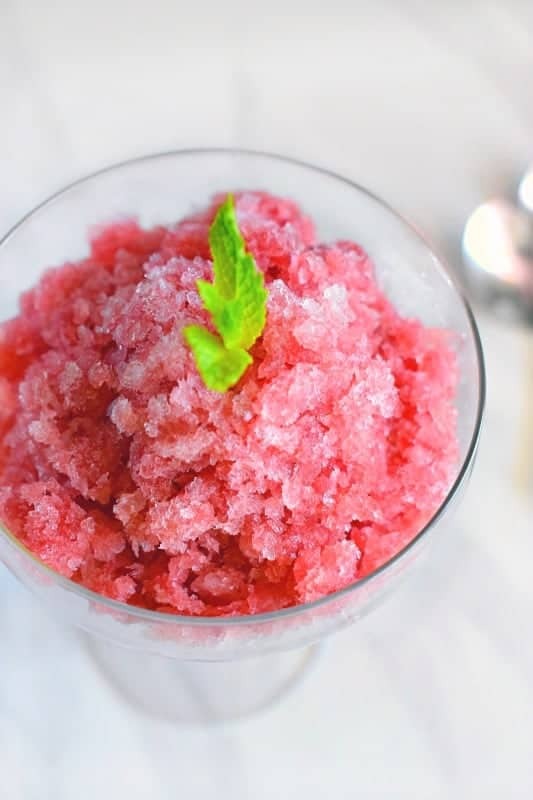 Such a refreshing summer granita recipe! Love the addition of ginger beer. 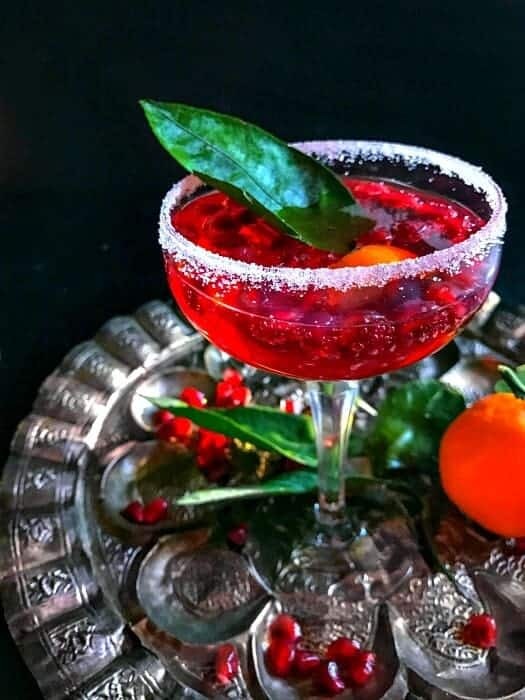 I adore mixing ginger beer with fruit in cocktails, and I bet it’s delicious with the watermelon in this granita! This summer granita sounds amazing! I can never have enough watermelon this time of year and am always looking for summer treats to cool down to. This will be perfect for the summer cabin in a few weeks! What a cool and delicious summer treat. My son-in-law loves ginger beer and watermelon, so this would be a winner for him. Perfect for a pool party too. What a wonderful summer drink. You can have your adult beverage plus your cool drink. I am definitely pinning AND I totally understand having a special place in your heart for you dad. Mine has been gone a long time but I remember his quirks and his delightful sense of humor. I’ve read a lot of granita recipes, but never actually tried making it. It really seems so simple … your instructions are very clear. Maybe I’ll give this a try soon. ps – beautiful photos too!! 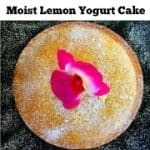 I saw this earlier on instagram and had to check the details on how to make it. Looks so good and refreshing. Loving the use of the ginger beer too. And then the colors so pretty! Thanks Adriana 🙂 The ginger beer gave it such a quick and delicious twist to the taste. A beer granita! Girl you just made granita interesting!